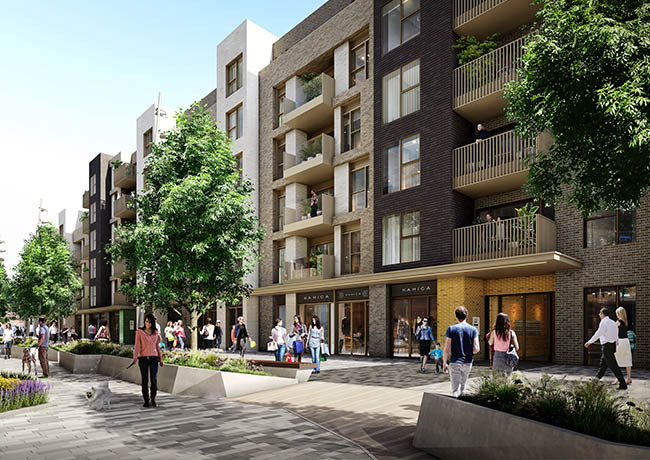 4 April 2019, London: EPISO, an opportunity fund advised by Tristan Capital Partners, in partnership with Addington Capital, have sold a 4.5-acre residential site with consent for 447 units to Strawberry Star Homes. The site is alongside the joint venture partners’ Harvey Shopping Centre in Harlow. Addington secured planning permission for the site, which was previously a shopping mall, to create a mixed-use regeneration scheme. The plans include four new standalone blocks, which provide 447 residential units and around 40,000 sq. ft. of retail space, together with below-podium car parking. Above the podium there are planned landscaped private amenity areas. London based property company Strawberry Star Group’s volume house building division Strawberry Star Homes will build out the site which is expected to have a GDV of £244m. Addington and EPISO bought the Harvey Shopping Centre as part of a broader portfolio in 2011 and have been refurbishing and improving it since then. The Centre has benefitted from the opening of the Terrace in 2016 anchored by the 25,000 sq.ft. Cineworld and a number of new leading restaurant brands.